Manufactured under an ISO 9001 Certified Quality System. The global gold standard in wafer marking. 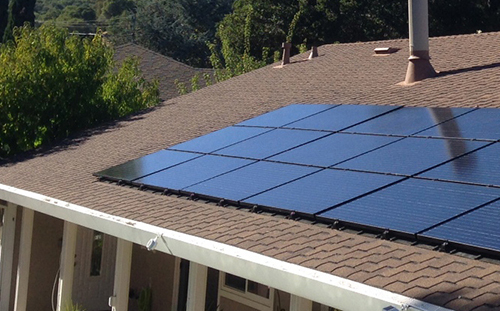 of our products for the solar energy industry. Xandex Inc. was Incorporated August 22, 1980, by three Fairchild Semiconductor employees and their friends. The founders shared the classic Silicon Valley entrepreneurial spirit -- a desire to create and develop their own start-up. The original company product -- the first of its type in the arena of semiconductor wafer testing -- was the DieMark® disposable-cartridge inker. The DieMark® system enabled deposition of up to 150,000 uniform, round ink dots, as small as the width of a human hair, from a single pre-filled, pre-tuned cartridge. The cartridge itself was disposable, consistent, easy to install, use and replace. Today, DieMark® products have worldwide distribution throughout North America, the EU and Asia. In January of 1982, Kamran Shamsavari joined Xandex as President. The Shamsavari family provided funding and leadership in bringing the first DieMark products to market. Leading semiconductor manufacturers immediately accepted the DieMark concept. Texas Instruments became the first DieMark customer and others soon followed. Today Xandex is the recognized industry leader for wafer marking solutions worldwide. As semiconductor test technology evolved, Xandex initiated multiple R&D projects to develop new test solutions and commercialize new technologies in the areas of probe card transport, test head to prober/handler docking and high fidelity electrical interconnects. The resulting products gained wide acceptance with OEMs and are in service around the world. For more information on Xandex Semiconductor Products, visit www.xandexsemi.com. The Xandex Quality Management System received ISO 9001 Certification April, 1997. Xandex is committed to compliance with environmental laws and other agreed upon requirements. 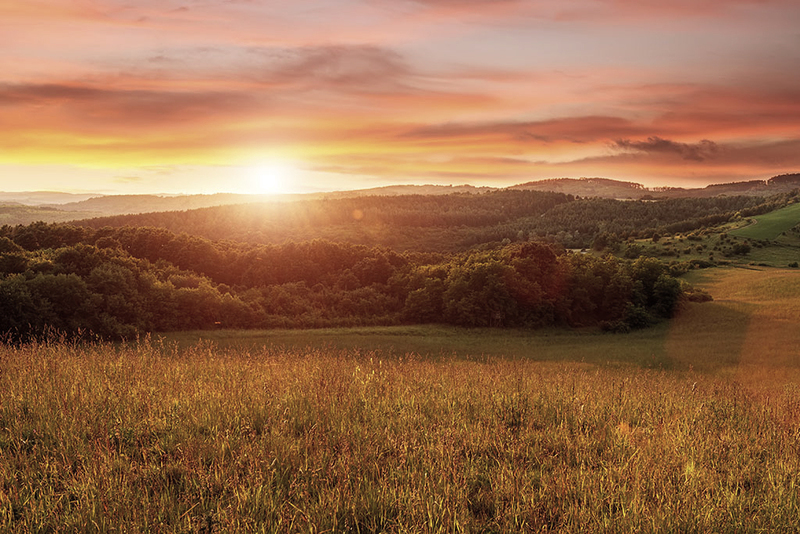 The Xandex management team is committed to environmental stewardship, reducing our environmental impact and continually improving our environmental performance as an integral and fundamental part of our business strategy and operating methods. 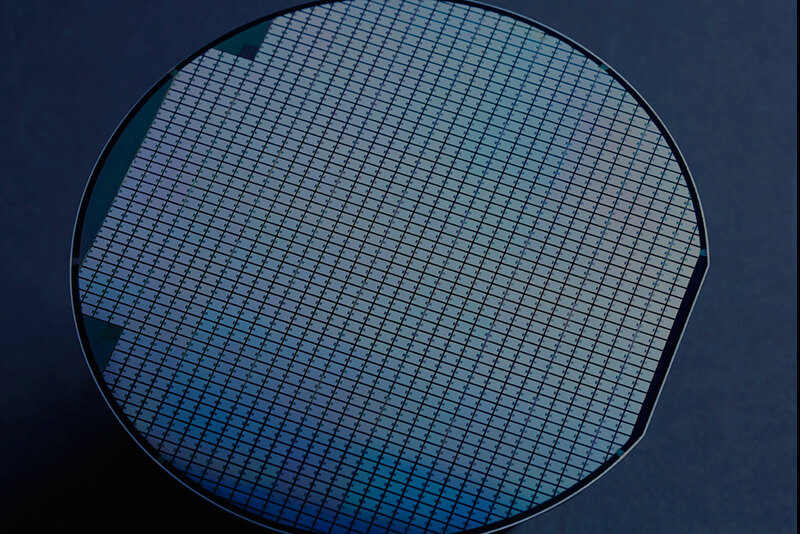 Certificates of Registration for the Xandex Quality Management and Environmental Management systems are available in the Quality Systems section of our Semiconductor Products division website, HERE. To pursue excellence in all elements of our business: products, processes and people through the effective implementation of our Business Quality Management System. To ensure that products meet or exceed customer requirements in terms of performance, leadtime, and cost. To ensure that each member of the Xandex team has the knowledge, skills, authority and responsibility to identify, correct, and prevent nonconformities of products and processes. To create an environment of high performance by hiring, retaining, developing and motivating personnel. To enhance the company’s reputation throughout the industry and maximize customer satisfaction by continually improving our products and processes. Through out our history and as we face the challenges of the future, our guiding principles are at the foundation of our Corporate Social Responsibility. 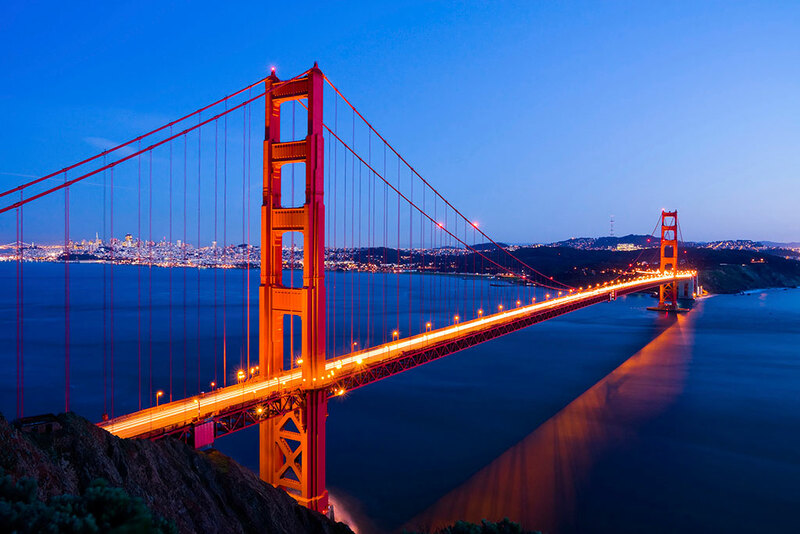 Xandex supports many non-profit organizations who serve our local Petaluma - Sonoma County, California community and the larger San Francisco Bay area. These organizations, through their many volunteers and staff provide invaluable social and human services that improve quality of life and expand social justice in our community. View a gallery listing some of these worthy organizations HERE. Xandex's mission is to be the preferred supplier of innovative semiconductor test and solar solutions worldwide. Xandex DieMark® Inking technology revolutionized die marking at wafer sort and has set the standard worldwide since 1981. DieMark Inking Systems are available in Electric and Pneumatic models and utilize convenient, disposable DieMark Ink Cartridges to streamline and optimize the process of marking defective die. 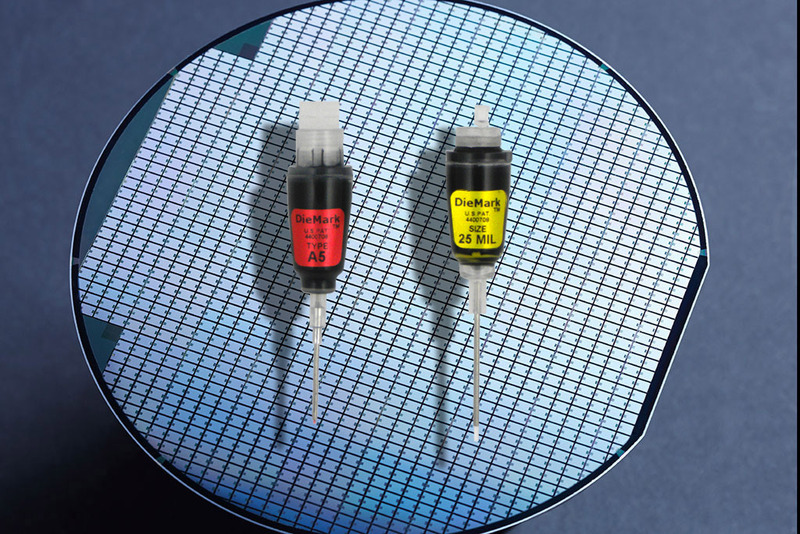 With models available for nearly every test platform and configuration, Xandex inking systems are in operation daily in every corner of the world where wafer sort is performed. All DieMark Inking equipment is built and tested to a demanding quality standard at our California manufacturing plant to insure that no matter what DieMark equipment you choose, it will operate with "around the clock" efficiency and dependability. The Solar Division at Xandex markets it solar products under the SunMizer ® brand. 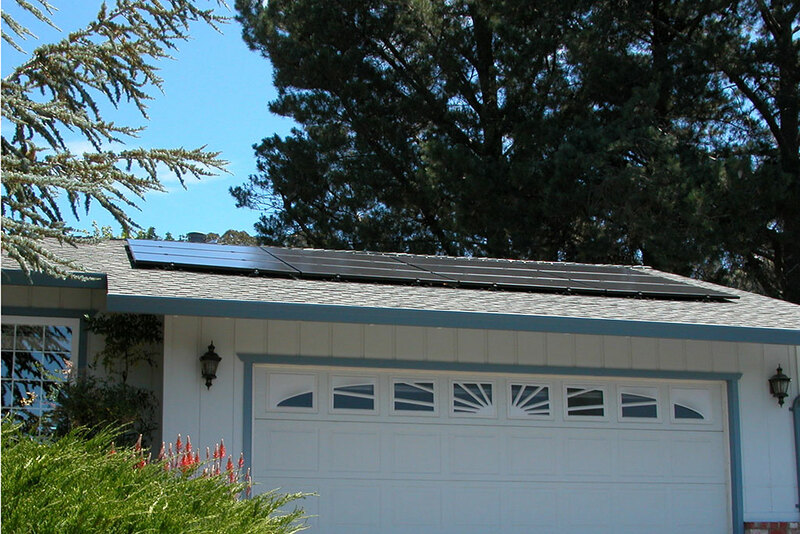 The SunMizer Solar Roofing System (SM-SRS) is a roof integrated solar installation that provides low profile "skylignt" aesthetics, the rugged durability of a built-in steel roof support structure and a Class A fire rating. 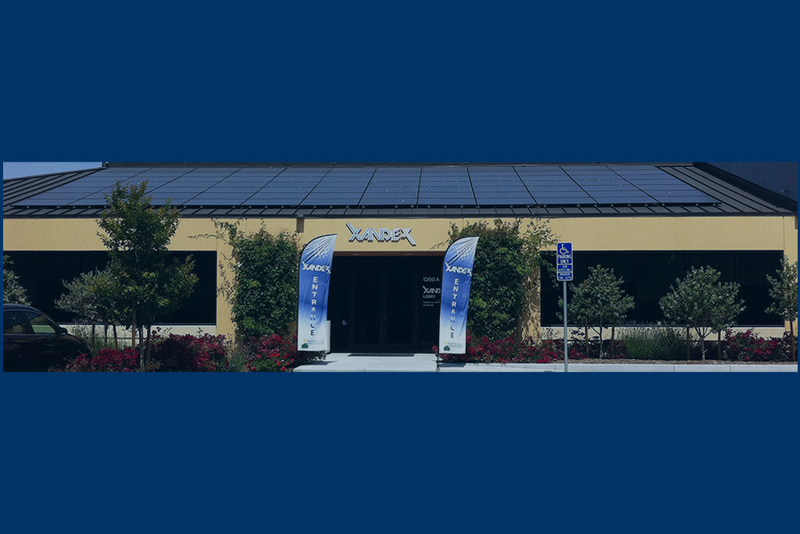 Xandex / SunMizer Solar Roofing is a corporate, allied or affiliate member of the American Institute of Architects San Francisco and East Bay chapters, the Building Industry Association of Southern California, the Solar Electric Power Association and California Solar Energy Industry Association. Xandex Ventures is the wholly owned investment arm of Xandex Inc., legally organized as Xandex Investments LLC. 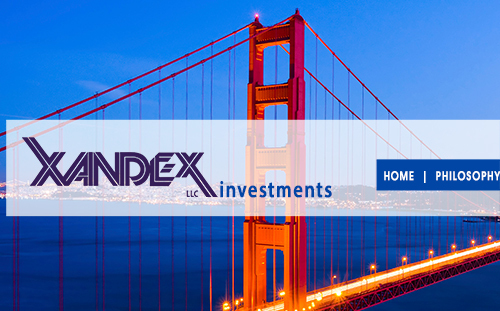 Like most San Francisco Bay Area tech companies, Xandex Ventures was founded by entrepreneurs. Over the decades of doing business globally, we have striven to be innovative, entrepreneurial, progressive, and ethical in all of our business endeavors. We hope to spread these values as wide and as far as we can with the help of entrepreneurs. Our goal is to fund, support and nurture dynamic, bright and dedicated individuals and teams with a clear vision, and great aspiration to realize that vision through hard work, ingenuity and team spirit. Xandex Ventures is a seed and early stage investor in emerging fields which we believe improve commerce and promote the well-being of individuals. Specifically we are seeking investment opportunities in mobile digital technology deployment for commerce, entertainment and digital health care; healthy lifestyles and eco-friendly products, and medical devices. Some past investments (and current portfolio companies) include ventures in Bio-Pharma and Renewables, however, we no longer participate in these investment classes. Our vision of being the preferred supplier of innovative technology solutions worldwide requires us to seek out creative solutions in our product design and manufacturing processes as well as our management practices. You will find a spirit of innovation and continuous improvement at the root of everything at Xandex. In our effort to be THE preferred supplier, we seek to exceed our customers' expectations while living by our guiding principles. The guiding principles listed below are the core values that shape our corporate culture. Xandex practices an "open door" management style that encourages the flow of communication through all levels of the organization. Company meetings are held quarterly so that every employee is well informed of our annual and quarterly goals and progress. Both formal and informal means are available to all employees in the organization for providing input on improving our processes and practices. Xandex has built its reputation on developing and offering new and creative test solutions. By investigating and investing in the latest developments in electronics, materials science, business practices and computer/software technology, Xandex continues to be a leader in the development of next generation test solutions. In 1997, Xandex was among the very few small companies who earned certification in ISO 9001 quality standards. In 2003, Xandex was re-certified in the revised ISO 9001:2000 standard. In 2010, Xandex was re-certified to the latest ISO 9001-2008 standard. At our company, Quality is not just the function of the Quality Department. It is ingrained in every aspect of our organization and is the responsibility of each and every employee. A spirit of cooperation exists at Xandex. It is evident not only in our internal activities, but also in how we interact with our customers and suppliers. Internally, cross-functional teams are the core of our manufacturing, product development and process improvement activities. Externally, we partner with our customers and suppliers in finding unique and cost effective designs and test solutions. In the competitive and volatile climate of any high tech industry, agility and accuracy (getting it right the first time) are necessities. Our managers are routinely challenged to raise the bar for themselves as well as for their staff. We believe that continuous improvement of individuals in our team benefits the entire organization. We often provide opportunities for advancement and promotions from within, as well as encourage personal and professional development by offering financial and educational assistance to all employees. Our commitment to providing a safe and healthy work environment is demonstrated by our progressive ergonomics program, which has been recognized in safety magazines. We have CPR and First Aid trained Safety Teams who drive our safety practices, which include quarterly site inspections, emergency practice drills, and ergonomics workstation evaluations. Our work environment and safety practices far exceed OSHA standards. Since the time when Xandex was a small company, we have tried to provide competitive benefits and compensation for our employees. Our salary structure is founded on comparisons with High Technology Surveys, which represent much larger companies (in revenue and employee level). Our benefits, like fully vested 401K, are considered quite generous for the size of our company. We have shared our profits, our savings from process and safety (workers' compensation cost) improvements, and have always matched or offered better annual merit adjustments than national averages. Being a private, family-run business, we give extra care and consideration in looking out for the financial well being of our employees. We believe that integrity is key in building relationships. Our management practices and policies consistently promote fair and ethical conduct. Xandex has always been highly diverse and passionate about its zero tolerance policy towards ANY form of harassment. Our policy and value system applies not only to our employees, but also extends to our customer and supplier interactions. Xandex supports many non-profit and charitable organizations in our local community. We encourage participation in volunteer programs such as mentoring in our local schools, or adopt-a-school to promote math and science studies. Our ongoing donations to Sonoma State University, Petaluma Fire Fighters, The Salvation Army, Petaluma People Services, Women's Justice Center and many others are highly appreciated. Xandex offers many immediate and vested benefits to our employees. * Xandex pays 100% of employee HMO Health, Life/AD&D, Vision and Dental options. Family / Dependant Coverage, Anthem Blue Cross PPO and EPO options are available at additional monthly charge. Option to participate for those 21 years of age or older. This program offers dollar for dollar matching of up to 4% of your gross annual salary which is 100% vested immediately. Xandex supports many local and Bay Area non-profit organizations, a few of which are listed below. We encourage you to visit their websites to learn more about the invaluable services they provide to our community. Xandex maintains a world class ISO 9001-2015 certified quality system, has multi-faceted engineering and design expertise and 37 years of successful experience in sales and marketing to global markets. This document was last updated on Marcy 15,2019. Xandex Inc. is committed to protecting your privacy. This Privacy Statement sets forth our current privacy practices with regard to the information we collect when you or your computer interact with our websites or web applications, including but not limited to www.xandex.com, www.xandexinvestments.com, www.xandexventures.com, www.xandexsemi.com, www.sunmizer.com,and www.kubiconnect.com. This policy also covers any Xandex website or application not named above. By using our web materials you acknowledge and fully understand Xandex Inc’s Privacy Statement and freely consent to the information collection and use practices described in this Website Privacy Statement. Related services and offerings with links from this website, including vendor sites, have their own privacy statements that can be viewed by clicking on the corresponding links within each respective website. Online merchants and others who participate in Xandex services are encouraged to participate in industry privacy initiatives and to take a responsible attitude towards consumer privacy. However, since we do not have direct control over the policies or practices of participating merchants and other third parties, we are not responsible for the privacy practices or contents of those sites. We recommend and encourage that you always review the privacy policies of merchants and other third parties before you provide any personal information or complete any transaction with such parties. Xandex Inc. collects certain information from and about its users three ways: directly from our Web Server logs, the user, and with Cookies. Xandex Inc. reserves the right to share aggregated site statistics with partner companies, but does not allow other companies to place cookies on our website unless there is a temporary, overriding customer value. Visitors to our website can register to purchase or request services. When you register, we will request some personal information such as name, address, email, telephone number or facsimile number, account number and other relevant information. If you are purchasing a service, we will request financial information. Any financial information we collect is used only to bill you for the services you purchased. If you purchase by credit card, this information may be forwarded to your credit card provider. For other types of registrations, we will ask for the relevant information. You may also be asked to disclose personal information to us so that we can provide assistance and information to you. For example, such data may be warranted in order to provide online technical support and troubleshooting. Xandex Web pages may contain electronic images known as Web beacons – sometimes also called single-pixel gifs – that allow Xandex to count users who have visited those pages and to deliver co-branded services. Xandex may include Web beacons in promotional e-mail messages or newsletters in order to determine whether messages have been opened and acted upon. Some of these Web beacons may be placed by third party service providers to help determine the effectiveness of our advertising campaigns or email communications. These Web beacons may be used by these service providers to place a persistent cookie on your computer. This allows the service provider to recognize your computer each time you visit certain pages or emails and compile anonymous information in relation to those page views, which in turn enables us and our service providers to learn which advertisements and emails bring you to our website and how you use the site. Xandex prohibits Web beacons from being used to collect or access your personal information. Xandex Inc. has the discretion to occasionally update this privacy statement. When we do, we will also revise the “updated” date at the top of this Privacy page. We encourage you to periodically review this privacy statement to stay informed about how we are helping to protect the personal information we collect. Your continued use of the service constitutes your agreement to this privacy statement and any updates. Xandex Inc. will use commercially reasonable efforts to promptly respond and resolve any problem or question. Xandex Inc. is providing User with access to copyrighted data, white papers, presentations and case studies. User must provide (1) all equipment necessary for their own Internet connection, including computer and modem and (2) provide for User’s access to the Internet, and (3) pay any fees related with such connection. The site is provided by Xandex Inc. on an “as is” and on an “as available” basis. To the fullest extent permitted by applicable law, Xandex Inc. makes no representations or warranties of any kind, express or implied, regarding the use or the results of this web site in terms of its correctness, accuracy, reliability, or otherwise. Xandex Inc. shall have no liability for any interruptions in the use of this Website. Xandex Inc. disclaims all warranties with regard to the information provided, including the implied warranties of merchantability and fitness for a particular purpose, and non-infringement. Some jurisdictions do not allow the exclusion of implied warranties, therefore the above-referenced exclusion is inapplicable. XANDEX INC. SHALL NOT BE LIABLE FOR ANY DAMAGES WHATSOEVER, AND IN PARTICULAR SHALL NOT BE LIABLE FOR ANY SPECIAL, INDIRECT, CONSEQUENTIAL, OR INCIDENTAL DAMAGES, OR DAMAGES FOR LOST PROFITS, LOSS OF REVENUE, OR LOSS OF USE, ARISING OUT OF OR RELATED TO THIS WEB SITE OR THE INFORMATION CONTAINED IN IT, WHETHER SUCH DAMAGES ARISE IN CONTRACT, NEGLIGENCE, TORT, UNDER STATUTE, IN EQUITY, AT LAW, OR OTHERWISE, EVEN IF XANDEX INC. HAS BEEN ADVISED OF THE POSSIBILITY OF SUCH DAMAGES. SOME JURISDICTIONS DO NOT ALLOW FOR THE LIMITATION OR EXCLUSION OF LIABILITY FOR INCIDENTAL OR CONSEQUENTIAL DAMAGES, THEREFORE SOME OF THE ABOVE LIMITATIONS IS INAPPLICABLE. User agrees to indemnify and hold Xandex Inc., its parents, subsidiaries, divisions, affiliates, officers and employees, harmless from any claim or demand, including reasonable attorneys’ fees and costs, made by any third party due to or arising out of User’s use of the Service, the violation of this Agreement, or infringement by Member, or other user of the Service using Member’s computer, of any intellectual property or any other right of any person or entity. Users are entirely responsible for any and all activities which occur under their use whether authorized or not authorized. User agrees to notify Xandex Inc.of any unauthorized use of User’s information or any other breach of security known or should be known to the MUser. User’s right to use the Service is personal to the User. User agrees not to resell or make any commercial use of the Service without the express written consent of Xandex Inc.
Xandex Inc. reserves the right to modify or discontinue the Service with or without notice to the User. Xandex Inc. shall not be liable to MUser or any third party should Xandex Inc. exercise its right to modify or discontinue the Service. User acknowledges and accepts that Xandex Inc. does not guarantee continuous, uninterrupted or secure access to our website and operation of our website may be interfered with or adversely affected by numerous factors or circumstances outside of our control. Product specifications and other information have either been provided by the Vendors or collected from publicly available sources. While Xandex Inc. makes every effort to ensure that the information on this website is accurate, we can make no representations or warranties as to the accuracy or reliability of any information provided on its websites. Xandex Inc. makes no warranties or representations whatsoever with regard to any product provided or offered by any Vendor, and you acknowledge that any reliance on representations and warranties provided by any Vendor shall be at your own risk. User assumes all knowledge of applicable law and is responsible for compliance with any such laws. Member may not use the Service in any way that violates applicable state, federal, or international laws, regulations or other government requirements. User further agrees not to transmit any material that encourages conduct that could constitute a criminal offense, give rise to civil liability or otherwise violate any applicable local, state, national, or international law or regulation. All content included or available on this site, including, text, graphics, interfaces, and the selection and arrangements thereof is ©2009-2018 Xandex Inc., will all rights reserved, or is the property of Xandex Inc.and/or third parties protected by intellectual property rights. Any use of materials on the website, including reproduction for purposes other than those noted above, modification, distribution, or replication, any form of data extraction or data mining, or other commercial exploitation of any kind, without prior written permission of an authorized officer of Xandex Inc. is strictly prohibited. 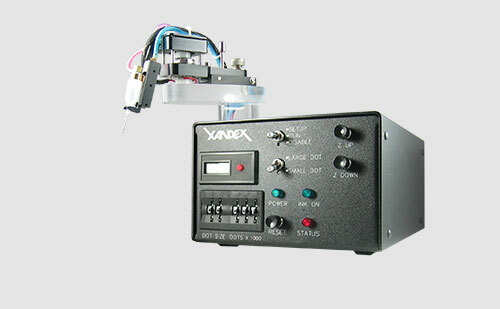 Users agree that they will not use any robot, spider, or other automatic device, or manual process to monitor or copy our web pages or the content contained therein without prior written permission of an authorized officer of Xandex Inc.
SunMizer® Optimum I-V for PV™ and DieMark® are proprietary marks of Xandex Inc. Xandex Inc. trademarks may not be used in connection with any product or service that is not provided by Xandex Inc., in any manner that is likely to cause confusion among customers, or in any manner that disparages or discredits Xandex Inc.
All other trademarks displayed on Xandex Inc.’s websites are the trademarks of their respective owners, and constitute neither an endorsement nor a recommendation of those Vendors. In addition, such use of trademarks or links to the web sites of Vendors is not intended to imply, directly or indirectly, that those Vendors endorse or have any affiliation with Xandex Inc.
Pursuant to Section 512(c) of the Copyright Revision Act, as enacted through the Digital Millennium Copyright Act, Xandex INc. designates the following individual as its agent for receipt of notifications of claimed copyright infringement. Xandex Inc. retains the right, at our sole discretion, to terminate any accounts involved with botnets and related activities. If any hostnames are used as command and control points for botnets, Xandex Inc. reserves the right to direct the involved hostnames to a honeypot, loopback address, logging facility, or any other destination at our discretion. Xandex will be closed on the following business days in 2019.